A river town, Galena boasts a selection of outdoor activities for everyone. Adventure travelers call it an oasis and the freezing season adds to their experience. From camping to hiking to wildlife viewing, outdoor opportunities in this Alaskan settlement are exhaustive. You can head to this remote city if you want a break from the humdrum routine of your life and ravel in the natural beauty of the region. A popular destination, Galena has an extensive selection of accommodations for every need and budget. Whether you are looking for boutique hotels in Galena or a cheap accommodation in Galena, you will find everything. Finding luxurious hotel rooms at a reasonable price can be quite tricky, but we at MyFlightSearch have partnered with top domestic as well as international hotel chains, so you always get the top hotels in Galena available online. 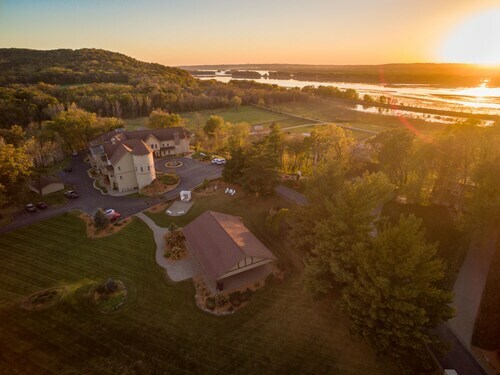 Browse our selection of cheap hotels in Galena and save big on your trip! Like rest of Alaska, Galena too is a year-round destination. The city is busiest between mid-May to mid-September (summer season). Always consider making your Galena hotel reservations well in advance to find cheap hotel rooms in Galena. Visit Galena between November and March to find better availability and cheaper Galena hotels. The town becomes a winter wonderland during this time and features several outdoor opportunities, including fishing and dog sled riding. Galena is located close to many wildlife refuges where there are plenty of wildlife and bird watching opportunities. A short drive can bring you forth to some of the most spectacular moments of your life such as grizzlies fishing the salmon. Yukon 800 is an annual summer speedboat race that starts in Fairbanks and Galena is the halfway point of the race. It happens in June along the Yukon and Tanana Rivers. See the top mushers and their dogs in the acclaimed Iditarod Trail Sled Dog Race, which crosses Galena every alternate year in March. Vacationers from all around the world gather to watch as well as participate in this race. Incredible wildlife viewing, bird watching, fishing, and hunting opportunities abound in the Koyukuk National Wildlife Refuge. Spot bears, moose, wolves, foxes and many other animals in the backdrop of breathtaking mountains and rivers. Besides, tourists in the refuge can also enjoy activities like rafting and photography. Galena is a starting point to explore the acclaimed Nowitna National Wildlife Refuge. You can float along the Nowitna River to get the best views of the wildlife refuge. Your tour becomes all the more fun with incredible fishing, hunting, and wildlife photography opportunities. A delightful accommodation option for tourists in the city, this bed and breakfast is located in Galena’s Yukon River community. Less than one mile away from the Borealis Bed & Breakfast, this church is a famous landmark in Galena. It’s located about half a mile from St John Berchman's Catholic. An important place in the small community of Galena, Galena City Hall is located close to the bank of Yukon River. A vocational school that offers Alaskan students an opportunity to get a certification in aviation, the Galena Interior Learning Academy is located just a short walk from the airport. The state-owned airport is one of the most popular landmarks in the city. Tourists in the city can find lodging options in Yukon River community, which is located just three miles from the Edward G Pitka Sr Airport. The community also has a liquor shop, a fishing store and a general store within five to ten minutes of walk. It’s an ideal place for the travelers to set off on their trip to the wildlife refuges. Average cost of a hotel room in Galena? An average hotel room in Galena costs about $100 to $120 per night. Average cost of hotels during the weekend in Galena? An average hotel room in Galena costs around $120 to $130 per night on weekends. Which are the most popular Galena neighborhoods to stay for Business Traveler? 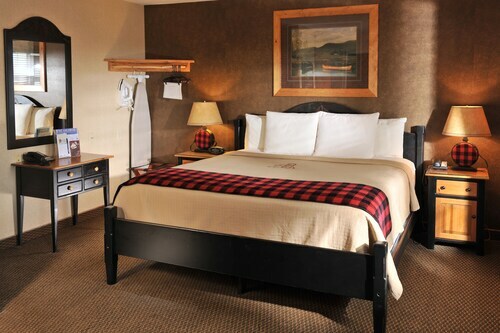 Business travelers can stay in Yukon River community. How much do you tip a porter at a hotel in Galena? $5 is a good tip amount. Best Time to Book a Hotel in Galena? Sixty to ninety days before your check-in date is a good time. Edward G Pitka Sr Airport is a premier gateway to Galena as well as to the national wildlife refuges near the city. The airport has flights from Fairbanks, Anchorage, and many other neighboring cities. 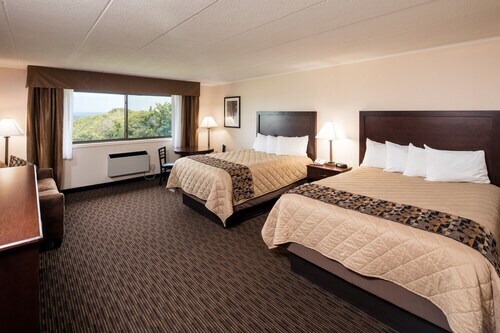 You can find a few budget hotels in Galena and family hotels in Galena within ten minutes of drive from the airport area.